This is an undated photograph of City College English instructor Morris Schappes. Schappes, a self-confessed communist, was himself twice a cause célèbre at CCNY. 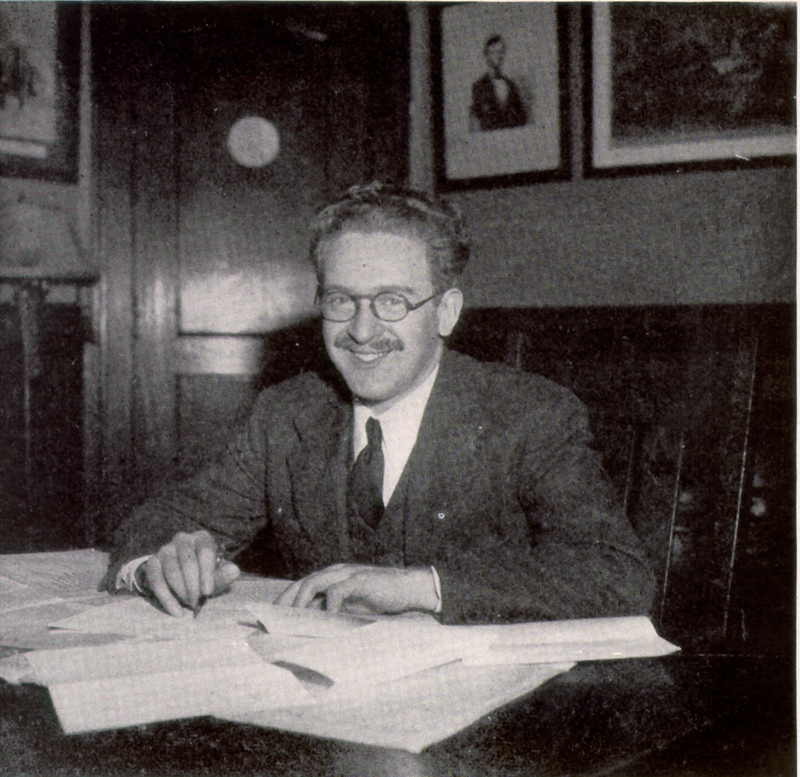 In April 1936, Schappes was fired after speaking on behalf of the faculty organized Anti-Fascist Association at a student-led peace protest on campus. Announcement of his dismissal was met with strong pushback from students, however, and the decision was eventually overturned. In March 1941, Schappes' political leanings would again be the source of controversy. Appearing before the Rapp-Coudert Committee, a N.Y. State organized communist-hunt group, Schappes admitted his prior membership in the Communist Party. When it was demanded that he name other party members at CCNY, Schappes claimed there were only ever four in addition to himself: three of whom had been killed in the Spanish Civil War and another that had already left the school and whose party membership was already known. Unfortunately for Schappes, officials had previously received testimony to the contrary from William Canning, an ex-communist history instructor turned friendly witness. Knowing that he was lying, Schappes was soon after tried for perjury, convicted and sentenced for up to two years in prison. Ultimately, he would serve thirteen and a half months, all the while collecting support from activists on campus. Cite This document | Unknown, “Morris Schappes at Desk,” CUNY Digital History Archive, accessed April 26, 2019, http://cdha.cuny.edu/items/show/3922.